Russia, officially known as The Russian Federation is the successor state of USSR. It is also the largest country in the world, having approximately one-eighth of inhabited area. The power of the country can be gauged by the fact that it emerged as the victor power of World War II, holds a permanent seat in the UN Security Council and also has the largest standing army and nuclear arsenals. More recently, Russia was catapulted on the world scene, when it demonstrated its political and military prowess by taking on the ISIS head-on in Syria, responding to an invitation by Syrian government. This demonstrated Russian resilience to stand against the west, by braving all odds. This operation has significantly boosted the Russian President Vladimir Putin’s stature as a leader, as the one who has restored Russia as a giant Global Power. This action by Russia has also challenged the United States of America as a self-proclaiming ‘Global Protector’. ISIS is a Salafi Jihadist militant group owing allegiance to the ultraconservative, Wahhabi Islamic fundamentalist group. They have been accused of global terrorism causing disunity in Muslims communities who disagree with the Wahhabi ideologies. Not only has this Islamic Jihadi group believed in apocalyptic violence in bringing about forceful change in the correct order, but also it has propagated terrorism through social media telecasting brutal persecution videos to provoke and terrify people all around the world. Apart from that, this group uses social media aggressively to recruit new members all over the world spreading their message ‘Join us or die’. This predominantly, Sunni Muslim terrorist organization has leased havoc on Yazidis, Christians and Kurds, in the areas, under their influence. More than 81 percent of the Arabic speaking population cheers the victories of ISIS, according to Al Jazeera, a Qatar based network. only Mediterranean naval base. Moreover, Russia’s concerns in fighting terrorism are related directly to her own national security. Russia has been troubled with the terrorism within their own borders and in particular, Chechnya. Chechen fighters, who have joined ISIS in Syria, are now determined to take the fight to Moscow. Putin stated in an interview that it is better to fight terrorists in Syria than wait until they return to Russia. The brawl in the region can be deemed as between American Bloc headed by Saudi-Qatar-Turkey and Iran-Syria-Iraq-Russian bloc. President Putin has alleged that some G-20 members have helped ISIS financially and pointed Turkey’s leadership, including President Erdogen and his family for being involved in illegal oil trade with the Islamic states militants. Presently, Putin is marching ahead in his mission with hands downs and guns up, despite Obama’s futile attempts to isolate Putin, diplomatically. Putin embodies a kind of muscular diplomacy, the US detests as it lackadaisical attempts to train and equip the Syrian opposition have spoiled their years. Putin came and grabbed this opportunity with both hands, elbowing out all other players including Obama. 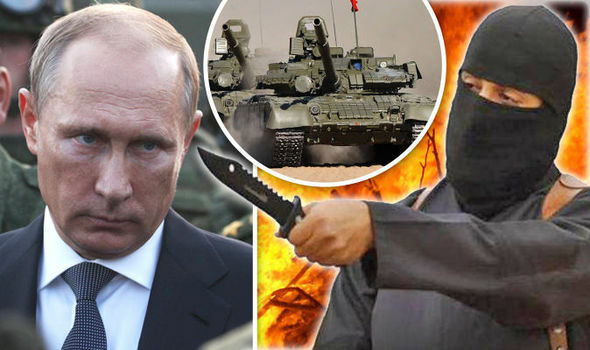 Russia has carried out a series of lethal airstrikes against the ISIS and Putin has now sent most elite Special Forces team into the war zone. Russia has flaunted its naval might by sailing in the ‘Black Hole’, as dubbed by NATO, a stealth Submarine armed with cruise missile to pound ISIS. These missiles were employed from the Caspian Sea against targets in Syria, flying across Iran and Iraq to hit their targets. 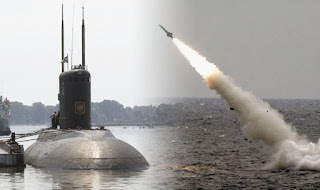 They are aimed at showcasing Russian capabilities on the world stage, especially to potential weapons customers, and for domestic propaganda consumption purposes. China is on the verge of clubbing up with Russia to unleash its military might in Syria to wipe out ISIS. The latest actions at the UN conference have come amid reports, citing key military sources, Chinese warship have made their way to Syrian shores through the Suez Canal. Beijing claims members of the Uighur militants group have been training with extremist in Syria and Iraq. Any interference in the region would pit China against the USA and the Asian country would be keen to avoid a confrontation with its fellow super power. However, it would be a major boost to the Russian war strategy in Syria.